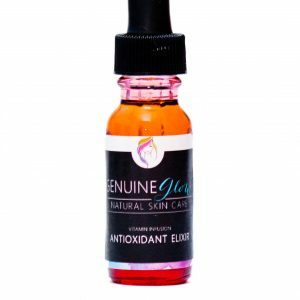 Vitamin Infused Facial Serum for a balanced and bright complexion. Containing high amounts of Grape Seed, Lemon, Myrrh and Lavender, this Booster Serum is highly effective at bringing dull skin back to life. 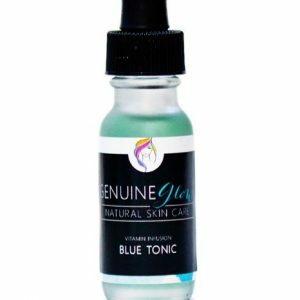 This serum will tighten and brighten skin, improve the tone and vitality of the complexion, reduce marks and spots, strengthen skin tissue and prevent marking. Grape Seed Oil: A non-allergenic and non-comedogenic oil that’s very high in Linoleic acid. Grape Seed oil tightens and promotes healthy skin with its antioxidants and anti-inflammatory properties. Lemon: Has rejuvenating properties that brightens and leaves skin soft and supple. Lemon increases blood circulation, improves tone and vitality of skin, and works as an astringent to reduce age spots, strengthen skin, and detoxify. 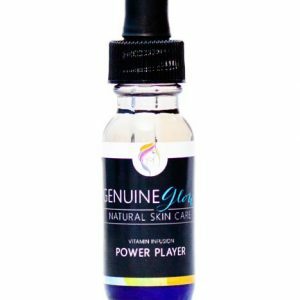 Myrrh: Greatly benefits skin by reducing the appearance of fine lines and wrinkles. With its strong anti-inflammatory properties, Myrrh can improve skin tone, promote firmness and skin elasticity, and helps with the recovery of sun damage and chapped skin. I love this serum. I’m new to serums and this was is my favorite. It’s not oily at all…and within a few days, my complexion was improved. I use this year-round. It does what it says! Ok — I received this in a sample set and fell in love. I only use natural products and was so happy to be introduced to this. Because it’s summer I’m using the Nourishing Oil and Supreme Moisture now. I’ve liked every product I’ve used. Great product to use before summer since it gets your skin bright and even for foundation free days. 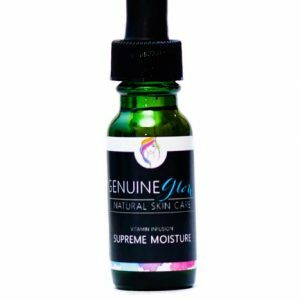 Easily absorbed serum — definitely helps my skin glow. The Booster serum has helped with the redness in my skin and I’ve noticed the “glow” instantly!